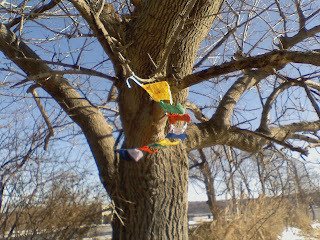 I hung these prayer flags down by the end of Piermont Pier. They immediately went to work, I think I've never seen it so windy on the pier. More pics to follow when I get home. This is one crazy day for riding.